Happy Memorial Weekend, and congratulations on the many successes of an outstanding school year! We hope this message finds you enjoying the outdoors and in a moment of reflection upon the young lives that you helped to grow toward productive, responsible, caring citizenship this year! You cannot be thanked enough for your advocacy, mentoring, and giving for the future of our kids and community! Our Club, kids, and Club family are dearly grateful for you! 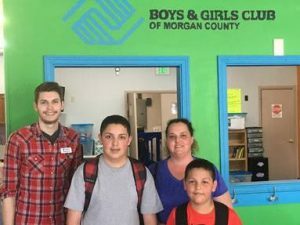 With the Boys & Girls Club of Morgan County YOU are creating a safe place for all children to grow and become. 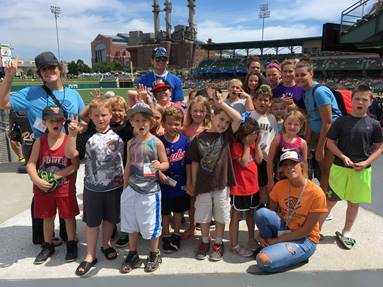 You provide hope and opportunity everyday for the Club kids! 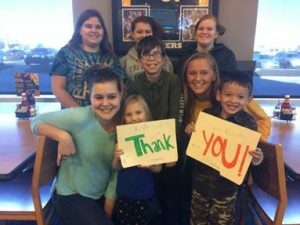 Because of you, your thoughtfulness, and kindness, all youth can be a Club Member for just $20 per year and benefit from Club programs and services when school is out. The actually cost of a Club membership is approximately $600 per child, per year. Your giving of time, expertise, and financial resource fills the gap and allows us to reach more kids, especially those who need us most! Thank you! 11 million youth will be out of school this summer, without supervision, and without a safe place to find encouragement, develop soft skills, and to become the people whom they are intended to be. You are the difference for our local youth this Summer. Club Summer enrollment has increased 32% and we have added 17 hours of service by opening at 7:30 am this year. You make this possible! 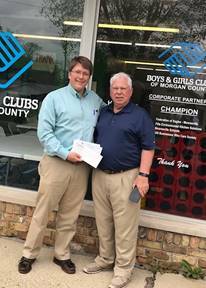 Our kids will be mentored by United Way volunteers twice each week, we will grow our garden with the Morgan County Master Gardeners, we will go to the library, Pioneer Park, and Showtime Cinema every week. Our kids will participate in arts, community service, sports, bike rides, prevention & guidance classes, walking for health, and STEM programming! Thank you for having a hand in the lives of Boys & Girls Club members and providing experiences that will last a lifetime! 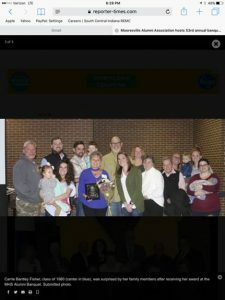 We would Like to give a Shout Out to Carrie Bantley Fisher for earning the Mooresville Schools Alumn of the Year Recognition! Congratulations Carrie! Carrie is also a past Board Volunteer of the Boys & Girls Club of Morgan County! Thank you Carrie! 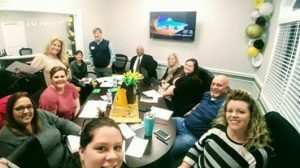 Thank you to all our volunteers as we are growing to become a volunteer organization with many opportunities for engagement and ways to mentor youth. Currently 27 volunteers have signed up to work on our Annual Campaign this summer, led by Lynn Adams, Bethaney Latham, and Ashley Duke. Our goal is to raise $75,000, to sustain Club programs and services. Join us as a volunteer or donor! Volunteer training is on June 7th. Please contact Chris Tann, Executive Director. 317-834-9744 to participate. Thank you to this season’s Business Partners. SCI REMC Operation Round Up for their grant for new games room equipment! St Francis Health for a lead gift for our Fall Before School Program! Marion Adams Flooring, The Federation of Eagles Post 103, Edward Jones, Economy Heating, Air Conditioning, and Plumbing, Schneider Corporation, SUNCO Construction, Ray’s Trash, Marion, Inc, and Indiana Wall Systems, WalMart, Buffalo Wild Wings, ERS of Indiana, VP Insurance, Grace Church, First United Methodist Church, and Carlisle Branson Funeral Services all donated generously for youth! You are changing the direction of kids’ lives! Wishing everyone a fantastic and safe Memorial Weekend and Summer Break! Thank you for being the difference for all our local youth! You are appreciated more than you may know for all that you do and for why you do it! PS. 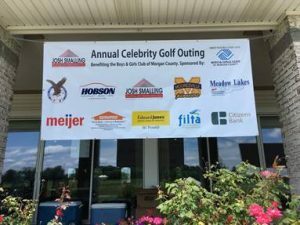 Boys & Girls Club 10th Annual Celebrity Golf Outing is July 13! Join us for great fun and fellowship while building the future for tomorrow’s leaders.